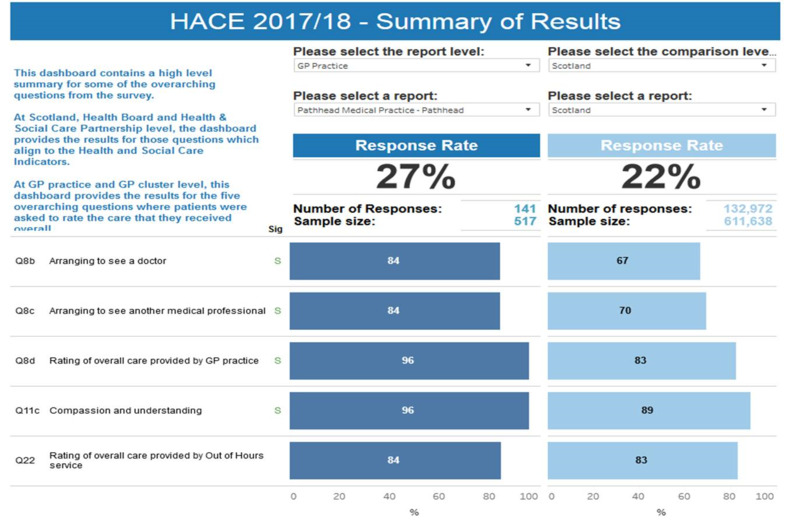 Results of the 2017/18 Scottish Government Health and Care Experience Survey (HACE) were released on 24 April 2018.
caring responsibilities and related support. The survey found that the majority of GP patients and social care users report a positive experience of their care. We are pleased to see that responding Pathhead patients positively rate their access more highly than elsewhere in Scotland, and 96% of Pathhead patients positively rate both their overall care and compassion/understanding provided by members of the healthcare team. Thank you to all those who provided feedback.